MOVE IN READY! The Mozart, one of our largest townhomes in an ideal location overlooking our beautiful 3-acre park! In this desirable end-unit home you’ll find a highly functional floorplan that includes 4 bedrooms and 3 full baths. On the main level, a huge country kitchen that opens to a large living room. Lots of included features including gourmet island, 42” cabinets, stainless steel appliances & recessed lighting. The upstairs features an Owner’s Suite with a private bathroom with dual sinks, a large roman shower and walk-in closet. 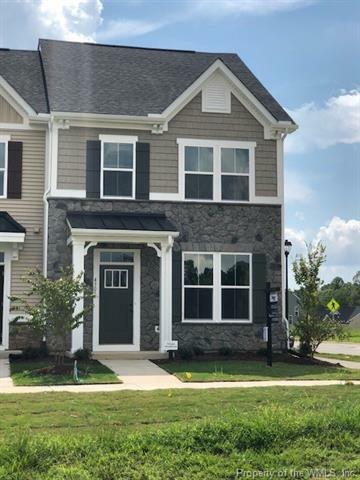 In addition, upstairs you will find two additional spacious bedrooms with ample closet space and another full bath with linen closet off the hall plus a convenient second-floor laundry closet. Then, one more level up you’ll find another huge bedroom with private bath and a large rooftop deck that could also be used as a special recreation area for family & friends. Upscale craftsman style exteriors with partial stone and cover front porch stoops. The Village at Candle Station is just 2 minutes to I-64 for easy commuting. Shopping & dining nearby. Enjoy the community park & green spaces, playground, BBQ pavilion and nature trails.